Burrs All categories Air pressure tools Automotive & fleet Chemicals, paint & tapes Electrical supplies Fasteners Grinding & sanding Hand tools Hydraulics, pneumatics & plumbing Janitorial & washroom Machining tools Material handling & storage Power tools Safety products Special offers Welding, soldering & gas app. Production of the TYROLIT PREMIUM*** burrs is performed on modern CNC grinding machines. 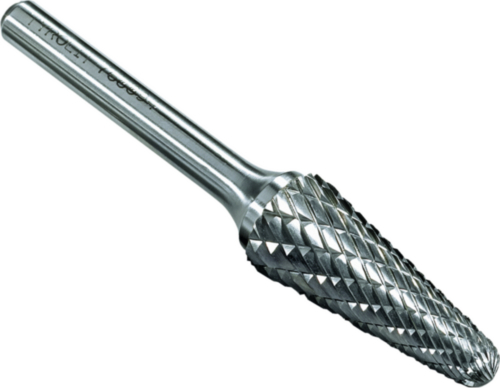 The result is a highly efficient precision tool that achieves optimum grinding results. With this tungsten carbide burr you can achieve the longest lifetimes when used on practically any material.By choosing the right machine, the correct revolutions per minute and operating speed, and the appropriate cutting and tooth profile, you will pave the way for PREMIUM results.